Have you ever wanted to control your WiFi with the click of a button? Or left your home only to realize that you left your lights on? Maybe you’re on vacation, and you want to check your property while you’re gone. If this sounds appealing, then smart home automation is for you. Recent advances in technology have made it possible for you to have total control over your home from virtually anywhere. Smart home automation installation from Hi-Tech Security allows you to live in your Fort Lauderdale dream home today. Hi-Tech Security offers a variety of services to turn your home into a safe, fully-automated area that you can control. Whether you’re at home or on the go, our Fort Lauderdale installers can implement our technology to allow you to monitor and control your home with the click of a button. Hi-Tech Security continues to provide our customers with services to help them live a stress-free life and give them peace of mind. We have served the South Florida community for over 14 years and seen excellent results. 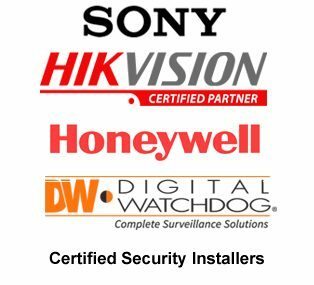 Our team is professional and educated on everything from security systems to home automation, and can answer any question you may have. All of our installers are low-voltage contractors and abide by the standards of the National Electric Code (NEC). We also offer lifetime technical support on all installations. Contact us at (954) 394-2292 to get your free installation quote today.